I've already started looking at maxi dresses for this summer, I have to admit that I was too scared to pull of this trend last year. But I recently went into Primark and saw a gorgeous camel coloured maxi dress for only £9.00. I'm going into town tomorrow to try it on in case it does fit and I know I'm supposed to be careful with my money, but I am in desperate need of clothes! To wear these beautiful dresses, I would probably match it with a pair of sandals, a cropped denim jacket, sunglasses and a over sized bag. I always pin a fake flower to my denim jacket. Anyway, if I do buy the maxi dress, I'll make sure to take lots of pictures to show you. I'm just worried that I'll be too short to pull of the look...I'll admit that I've never tried a maxi dress on before!! What do you think is the must have clothing for summer? i'm the same way... i LOVE the look, but think i'm too short too pull it off.. I'm SHORT and I bought a cute maxi dress for $10 a few weeks ago, took it home and it was too long ;( oh well its still cute and im still gonna wear it haha! I am sure you would look great in it. i think you're right...maxi dresses are the must-have for summer! love all of these! 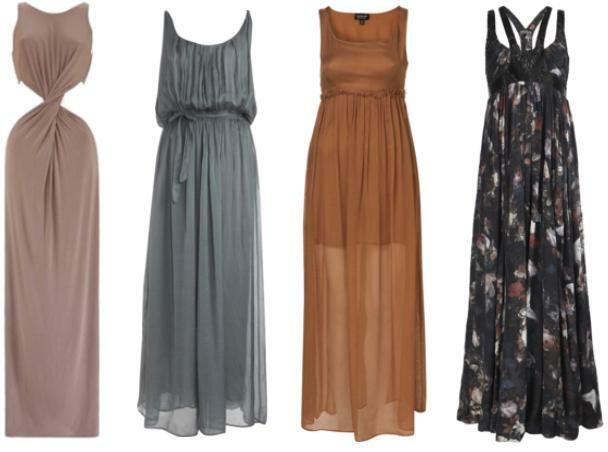 I totally agree, the maxi dress/ skirt is a must have for this summer. That last dress is my new wish. Maxi dress, denim jacket and heels. Is a must. i to was worried about pulling this look of last year, but i'm going for it this year. They have some beautiful patterned Maxi dress out this season. I have some depressing news girls - I tried on the maxi dress and it looked like I was wearing a curtain...or a camel. definitelly the maxi dresses or maxi skirts! loving this trend! I am completely obsessed with Maxis so gorgeous and yet comfortable! i love maxi dresses. but i think they're so difficult to wear. love the maxi dresses in this post! I absolutely love maxi dresses! They're so comfortable and easy to throw on for day or night.